Nutritional science investigator Caroline Gunn is doing the study because she says there is not enough information available on New Zealand post-menopausal women, and the link between their diets, metabolic status and bone density. She is seeking women from Auckland, Manawatu and Hawkes Bay aged between 50 and 70, who are at least five years post-menopausal and who are willing to eat nine servings of fruit and vegetables every day for three months – almost double the minimum recommended five-a-day. “Menopause is a time when bone loss increases,” she says. 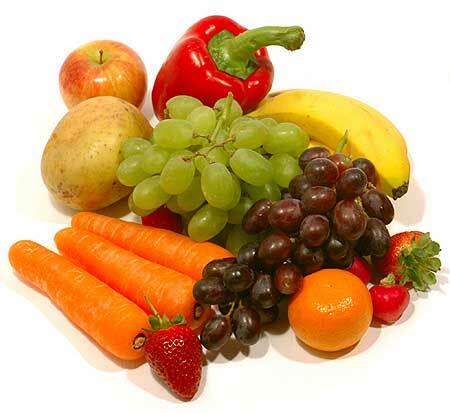 “Diets high in fruit and vegetables have been associated with reduced bone loss and increased bone mineral density. Ms Gunn says eating more fruit and vegetables is an established long-term dietary strategy for prevention of chronic disease recommended by health organisations such as the New Zealand Ministry of Health and the World Health Organisation. Raising fruit and vegetable intake to nine serves a day is closer to the recommended daily intake in several countries. Australians are urged to eat seven servings a day (two of fruit and five of vegetables), and in the United States the lead federal agency is urging all Americans to increase their intake to between five and nine serves per day. British people are advised that five a day (not including potatoes) is sufficient. Women in the study will be split into three groups of about 50, with two groups eating nine servings of specific combinations of fruit, vegetables and culinary herbs. Women in the third group will not be asked to make any changes to what they normally eat.